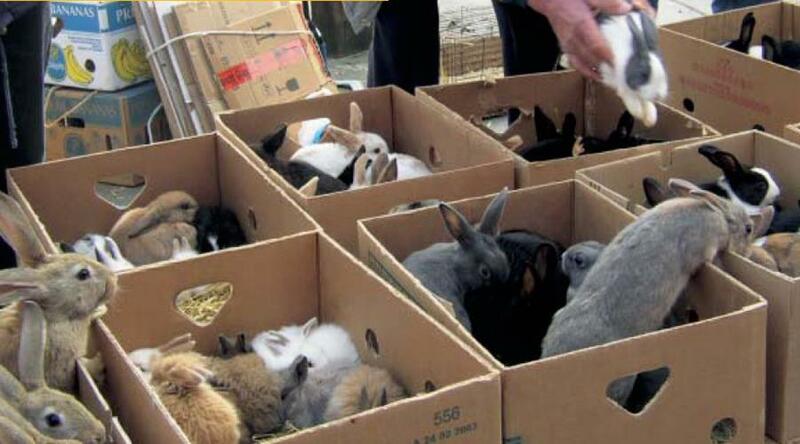 The animal market - known locally as the 'rabbit market' - has taken place for more than one hundred and twenty five years. Every Sunday professional dealers as well as occasional sellers offer poultry, rabbits, fish, rodents and birds for sale. And every Sunday this traditional market is visited by hundreds of people from Belgium and other countries. Every Sunday from 8 a.m. to midday, except at Whitsun and Easter, when the market is held on the Monday. From 2016, the animal market at Whitsun and Easter will be held as usual on Sunday, not on Monday.